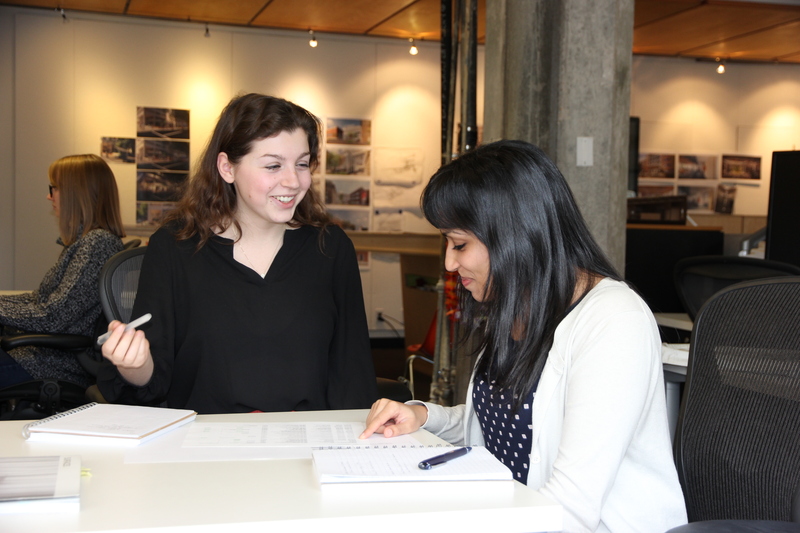 Design Process Archives | Hennebery Eddy Architects, Inc.
Hennebery Eddy Architects Net Zero Emerging Leaders intern Madelaine Murray, left, works with design staff member Pooja Kashyap to capture project data for the DDx. 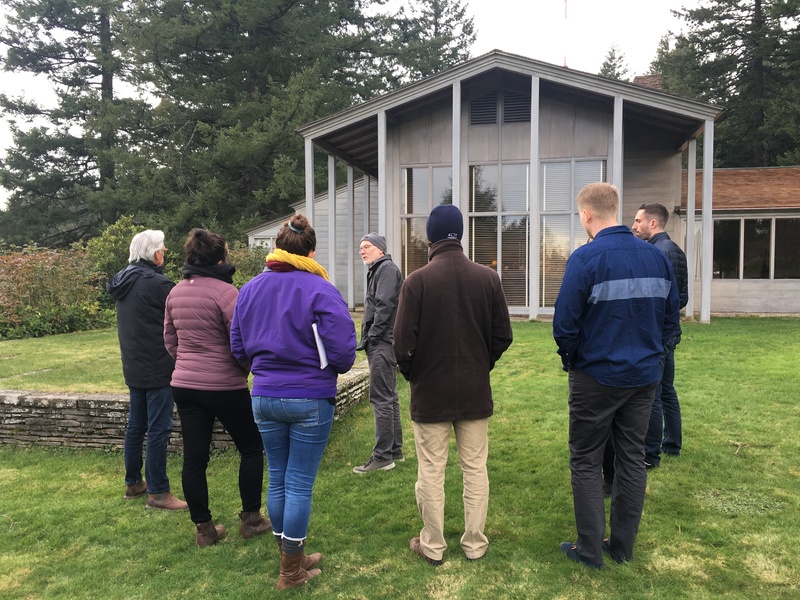 In 2019, Hennebery Eddy received a Net Zero Emerging Leaders Internship grant from Energy Trust of Oregon to hire a sustainable design student intern to help us comply with our Architecture 2030 Commitment, integrate new sustainable design QC checks throughout our design process, and conduct post-occupancy evaluations focused on building performance. 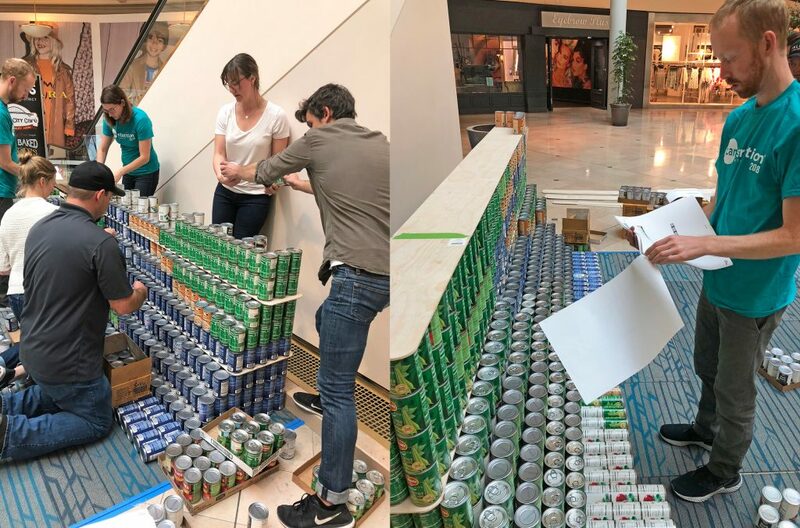 The internship demonstrates our dedication to the 2030 pledge and our broader net-positive philosophy and integrated sustainable design process. 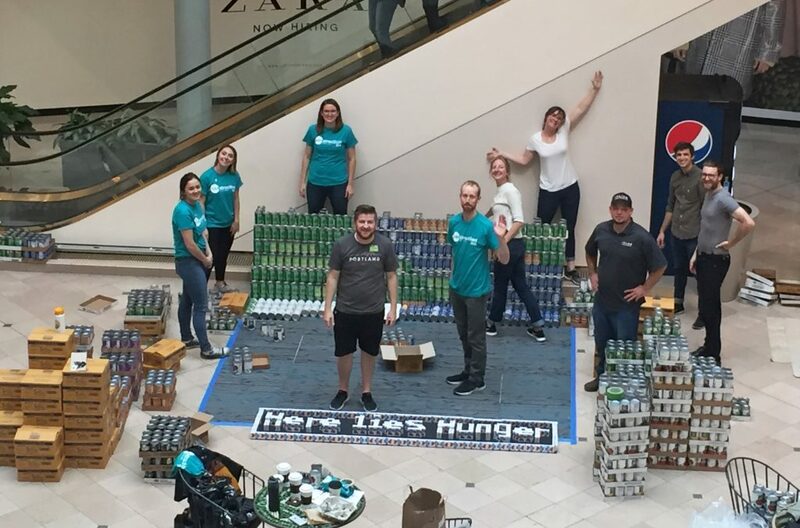 In the second post of a two-part series, intern Madelaine Murray shares her what she learned from her time at Hennebery Eddy. Read her first post here. The primary role of Net Zero Emerging Leaders Intern for Hennebery Eddy is to help our sustainability committee report the firm’s 2018 projects performance metrics, using AIA’s Architecture 2030 Commitment tool called Design Data Exchange (DDx). Nestled on a hilltop above Skyline Boulevard in Southwest Portland, the Aubrey Watzek House sits quietly, almost as a suspended moment of early modernism just minutes from downtown Portland. The Watzek House, designed by renowned Oregon architect John Yeon and built in 1937, is his masterpiece in wood and the precursor to Pacific Northwest Regional Modernism. The house is now owned by the University of Oregon’s College of Design. This famous house has carefully articulated use guidelines — and designation as a National Historic Landmark and a local City of Portland landmark. But the house, like any aging structure, is showing its susceptibility to age and the Pacific Northwest elements. While a roof replacement is planned for the short term, the Watzek House requires a long-term preservation plan that takes a proactive approach to anticipating, planning for, and implementing maintenance and repairs that retain the historic building’s integrity. A comprehensive look at the building’s current condition, use, and its future is also long overdue. This need is the impetus behind a graduate-level historic preservation planning course taught by principal David Wark and associate Carin Carlson at the University of Oregon’s School of Architecture & Environment Historic Preservation Program. Students outside the Aubrey Watzek House in Portland, Ore.
Net Zero Emerging Leaders intern Madelaine Murray consults with design staff and sustainability committee member Pooja Kashyap. In 2019, Hennebery Eddy received a Net Zero Emerging Leaders Internship grant from Energy Trust of Oregon to hire a sustainable design student intern to help us comply with our Architecture 2030 Commitment, integrate new sustainable design QC checks throughout our design process, and conduct post-occupancy evaluations focused on building performance. 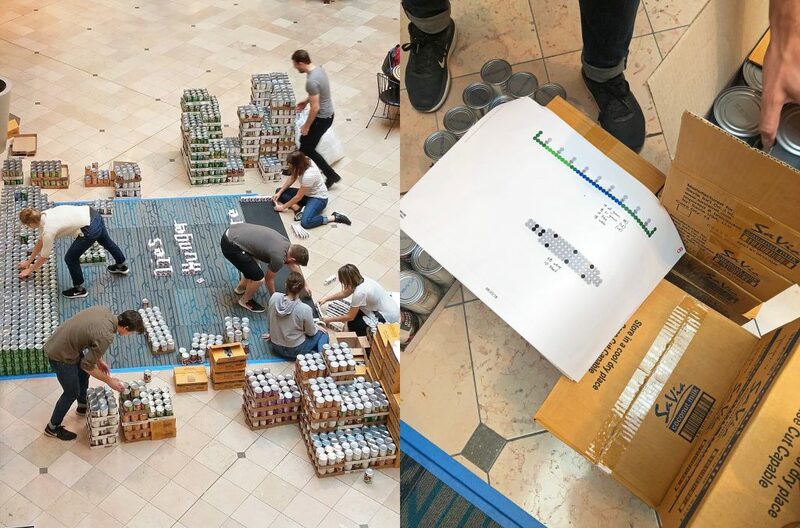 The internship demonstrates our dedication to the 2030 pledge and our broader net-positive philosophy and integrated sustainable design process. 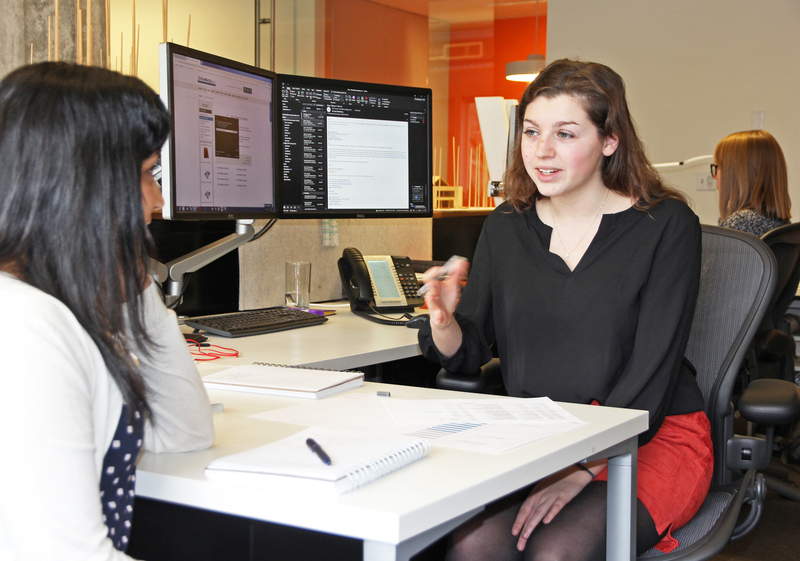 In the first of a series of blog posts, intern Madelaine Murray shares her initial reflections from the experience. I’m Madelaine Murray, a graduate student in the College of Design at the University of Oregon – Portland. 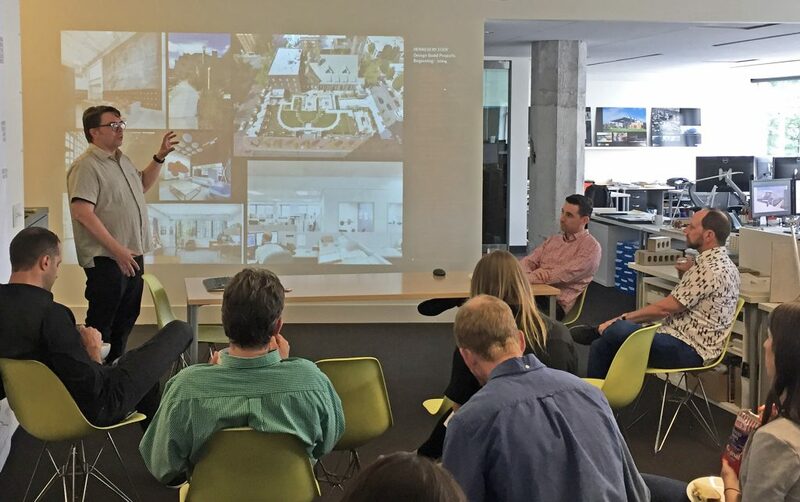 One of the advantages to studying in Portland is the ability to work at an architecture firm alongside classes, especially in a city acting as a hub for sustainable culture and mindful design. Hennebery Eddy is a very familiar name at the UO Portland, advocating for net-positive design, and several staff members have served as visiting reviewers for student projects. Hennebery Eddy is certainly a role model for successful projects rooted in context and for utilizing design principles relating to sustainability and thinking long term. University of Oregon encourages students to think beyond the buzzword of “sustainability,” allowing students to focus on many different avenues of design, such as adaptive reuse, resiliency, and energy efficiency. What was enticing about becoming a Net Zero Emerging Leader is advocating for these concepts beyond the academic realm. Reading about a building’s energy use in a textbook is not nearly as impactful as discussing it with a project team aiming reach a specific EUI goal. 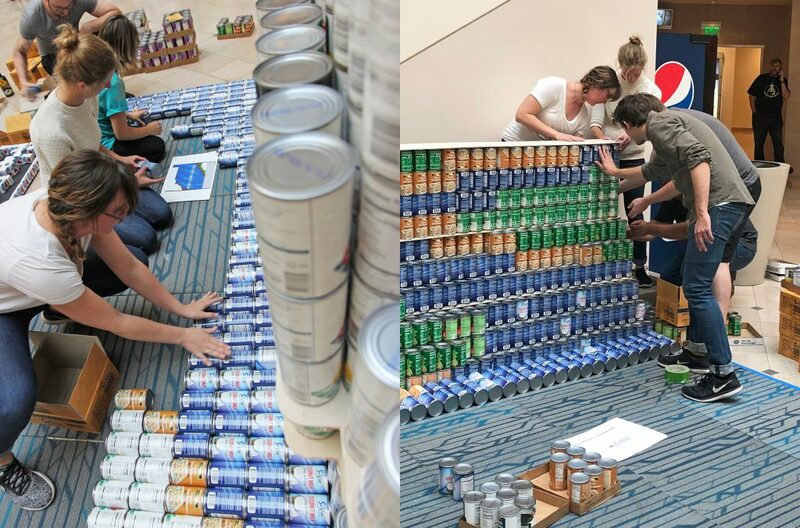 In a way, the NZEL program lets aspiring architects like me watch these sustainable design principles come to life. In 2018, Hennebery Eddy placed No. 31 on the Architect 50 – a ranking of the top 50 firms in the country – bolstered by our strong showing in the sustainable design category. Our net-positive philosophy and design approach landed us at No. 11 in that category. We aspire to design net-positive solutions through healthy, efficient, and adaptive spaces that are responsive to our clients, the environment, and the people who use them. To recognize our project teams’ achievements in healthy, efficient, and adaptive (HEA) design, 2018 also saw us launch an “HEA Net-Positive Awards” program for projects that recently completed design or construction. The 12 entries ranged in size, market, and style and featured net-positive stories that included innovations in daylighting, careful use of mindful materials, historic preservation, and impressive energy use reduction. A panel of five judges from among our staff honored the following projects. Two design-build partners. One Revit model. Six hours to build. 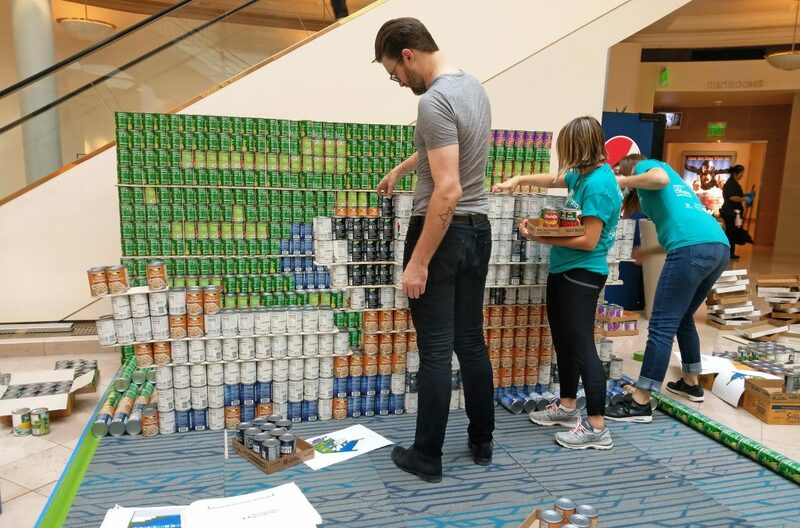 And 3,515 cans. 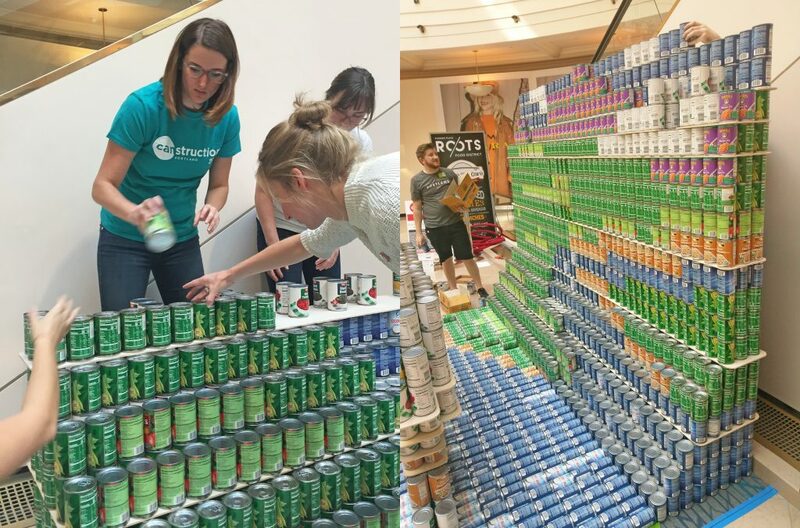 “Here Lies Hunger” brought home two awards from this year’s Canstruction Portland volunteer competition benefitting the Oregon Food Bank: Best Use of Labels and People’s Choice. Hennebery Eddy teamed with INLINE Commercial Construction to dream up this design-build canstructure paying homage to the original Oregon Trail educational computer game ubiquitous in 1970s, ’80s, and ’90s classrooms. Sketch of one conceptual option for the Rothko Pavilion. The Portland Art Museum and its acclaimed collections will become more accessible to both visitors and passersby through the design of its new Rothko Pavilion. The pavilion, an addition announced in 2016, will connect the Museum’s existing Main and Mark buildings and add 30,000 square feet of community and exhibition space. The updated expansion design concept incorporates the existing Madison Street passageway between 10th and Park Avenues into a sheltered, public passageway with views into the community commons and Museum gallery spaces. Portland architecture firm Hennebery Eddy Architects is collaborating with Chicago-based Vinci Hamp Architects on the design; their work evolves the original 2015 concept to advance the museum’s goals of new and enhanced art, program and public space, and increased accessibility within and through the museum, as well as support Portland’s urban landscape. “This expansion is an exciting opportunity to add and improve spaces for art and education as well as increase access to the renowned cultural treasures and programs of the Portland Art Museum,” said Brian Ferriso, The Marilyn H. and Dr. Robert B. Pamplin Jr. Director and Chief Curator of the Museum. 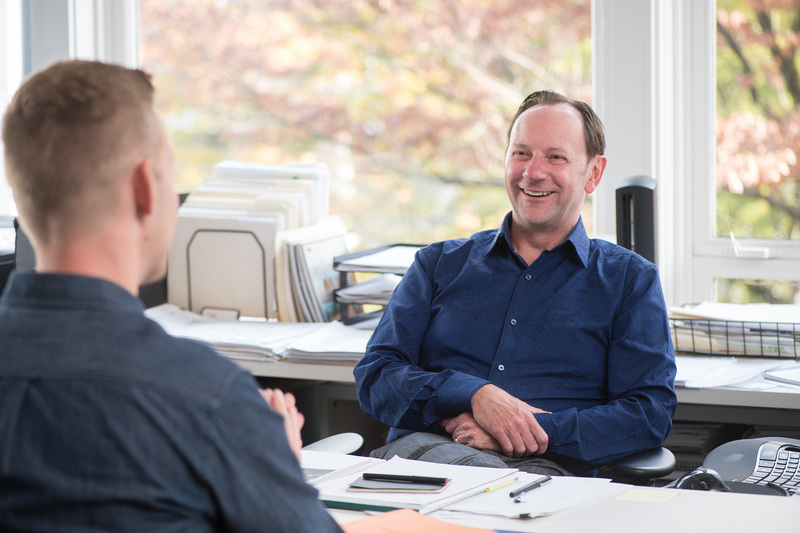 Jon is an associate principal and key leader in our civic and cultural, academic, and commercial projects. He is president-elect of the Oregon chapter of the Design-Build Institute of America and was one of the first architects in Oregon to be fully certified by the DBIA. Design-build project delivery has existed for many years and is common in other states, but the method is still new to many public agencies and other owners in Oregon. Preparing a project for D-B procurement may seem overwhelming at first — but we believe it presents the greatest potential for success. Design-build offers unique benefits that can only be achieved through the kind of constant teamwork afforded by having a single, cohesive team of designers, builders, and owners — a team where everyone gets to pick their partners. Progressive D-B in particular encourages teams to form based on trust and past experience successfully working together. Jon McGrew, Nick Byers, and Alan Osborne share design-build principles and best practices with fellow Hennebery Eddy staff. The three are involved with the DBIA Oregon chapter. Mike is a senior project architect with 18 years of experience and is a member of our in-house building enclosure committee, which provides envelope resources and technical support to our project teams. 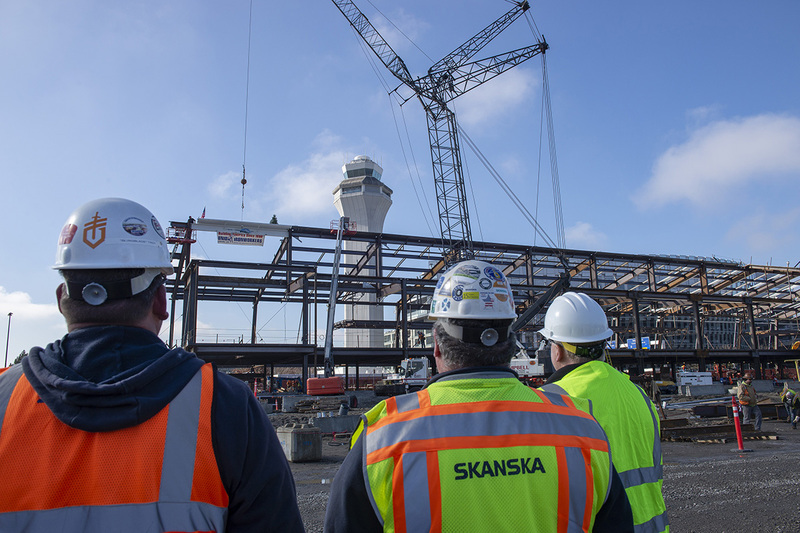 He sits on the board of the Portland Building Enclosure Council and is currently working on the PDX Terminal Balancing and Concourse E Extension project, discussed at the end of this post. I attended a training from Passive House Canada on THERM software, which was developed at the Lawrence Berkeley National Lab for evaluating heat transfer through building components. Using THERM, you can model 2-D heat-transfer effects in components at building interfaces like windows, walls, foundations, roofs, and doors. Heat-transfer analysis allows you to evaluate a product’s energy efficiency and local temperature patterns, which may relate directly to problems with condensation, moisture damage, and structural integrity. After the training, I was hungry to share the software and give our project teams a better way to evaluate details for thermal performance. I also thought about buildings I have built over my career. I’ve worked on buildings with many types of walls — some just to meet code, some just to meet the budget, and some to create the highest possible performance. I used THERM to evaluate these assemblies to see how we fared. 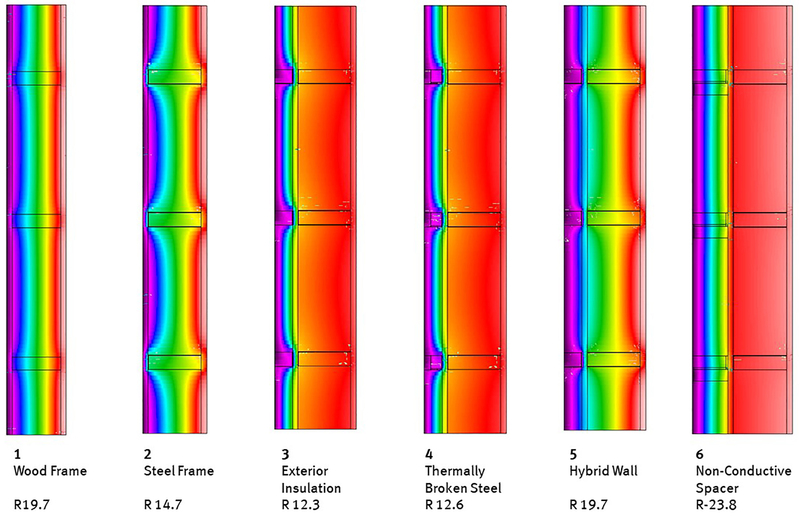 R-value measures the ability to prevent heat transfer. The higher the number, the better. Reflecting the firm’s commitment to on-time, on-budget project delivery and design excellence, Hennebery Eddy Architects vice president and principal Alan Osborne, AIA, is now a nationally certified Associate Design-Build Professional™. Certified by the Design-Build Institute of America, Osborne aids the firm in effectively meeting industry demand for alternate project delivery. Osborne is one of only three Oregon professionals certified by DBIA in 2018. DBIA certification is the nation’s only measurable standard of an individual’s knowledge of the Design-Build Done Right™ principles vital to successful project delivery. The certification requires comprehensive education and training and rigorous testing. In earning his Associate DBIA certification, Osborne joins Hennebery Eddy associate principal Jon McGrew, AIA, in leading D-B initiatives for the firm. McGrew earned his Design-Build Professional certification in 2014; at that time, he was one of only two architects in Oregon with the full credential. Osborne and McGrew are active in the Oregon chapter of the DBIA. Hennebery Eddy’s portfolio includes more than $100 million in recent private and public design-build projects. In 2016, the firm was recognized with a National Merit Award for its design-build renovation of the Oregon Department of State Lands office with Fortis Construction.